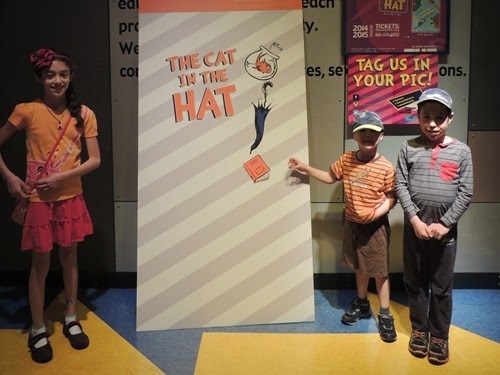 The kids an I were invited to see The Cat In The Hat at the Coterie Theatre yesterday! 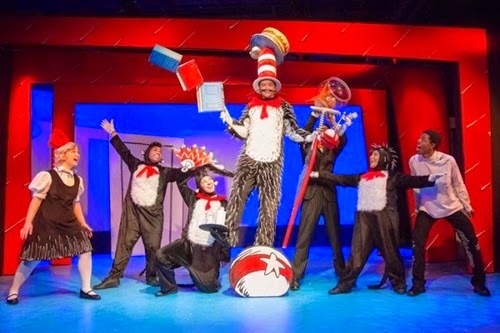 The show was a rendering of the book by Dr. Seuss and was very well done as the book came to life in front of us. Simon especially enjoyed the show and the older two found parts of it funny and entertaining. Photos belong to the Coterie Theatre. Learning Quest is sponsoring the show and is partnering with The Coterie for some great ticket giveaways. 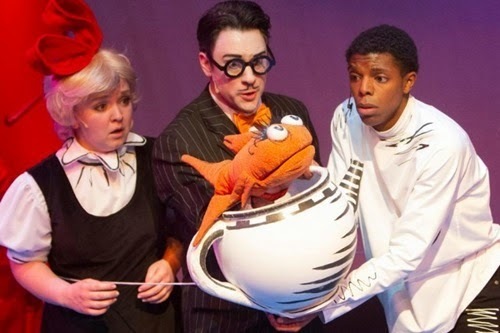 Fans of the Coterie can visit learningquest.com and enter to win 10 FREE tickets to shows on April 11, April 25 or May 16, plus one lucky winner will receive $529 in a Learning Quest 529 account. Anyone can enter the contest – you would have to be in the area and available to attend if you win show tickets, but you don’t need to live here to win the $529, which will be put into a Learning Quest 529 Education Savings Program account! Thank you so much to Learning Quest for providing us with tickets to the show in exchange for this post!